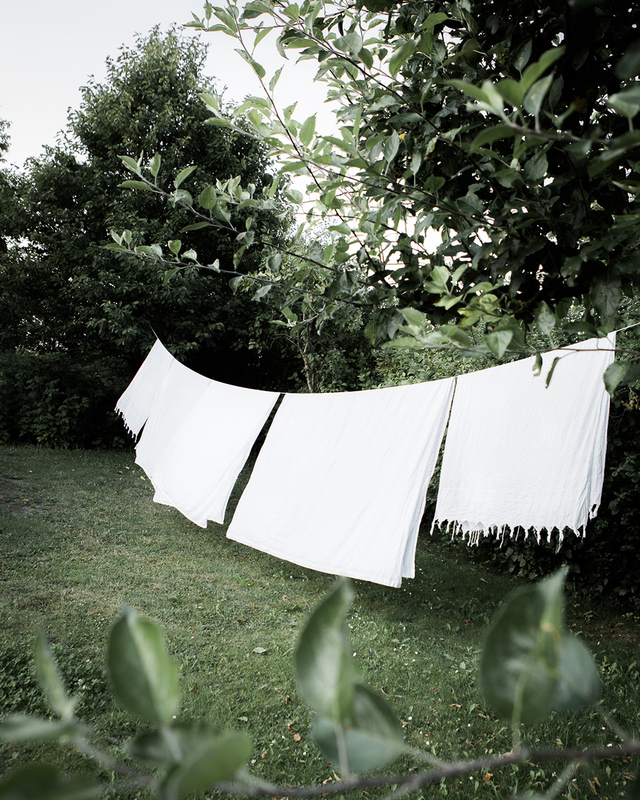 I like to dry sheets in the garden and I think the sheets like it too. Image credit: Daniella Witte. Making beds at home in Helsinki. An empty house builds a weird atmosphere. The same thing happens with spaces and items in our home that stay untouched for too long. Just like we, spaces and things come alive as we care them. Rather than new items, what most homes could use is some intent tending and loving. My summer agenda at home every summer is to simplify. Strip off layers, let air and light flow by opening doors and windows. And to clean. You do not need a lot of products for that, only time and some elbow grease. It is amazing how you can completely change the mood in a space with natural light, fresh air and mild soap water. 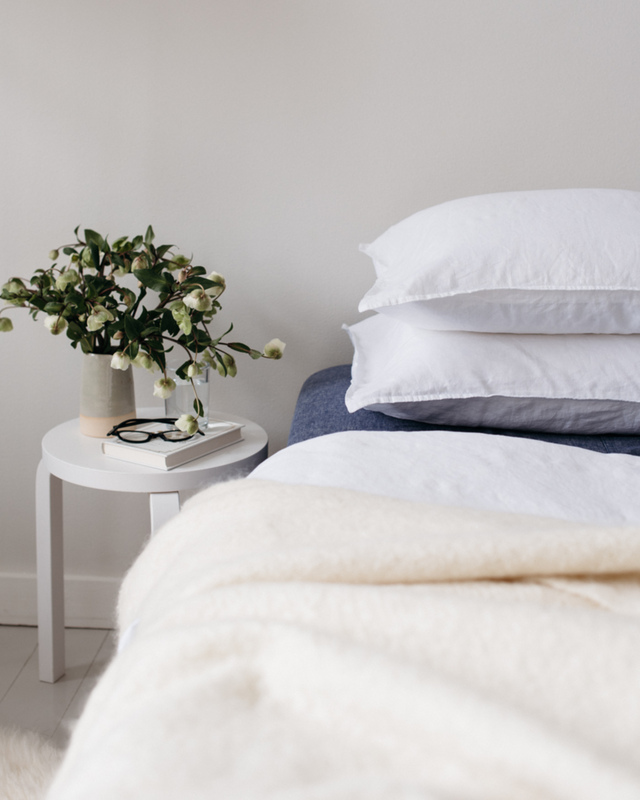 The things you add – fresh flowers or herbs, laundered bedlinen, tablecloths and towels – are just a finishing touch. The gentle wiping and scrubbing is what no one can see but what everyone can sense.